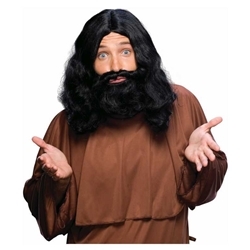 Economy version of the Biblical wig & beard set is a less expensive version of the deluxe set. Available in Gray, Brown, Blonde, White and Black. Great for many biblical uses; Jesus, Moses, Kings, Shepherds and many more!